Confectionery and bakery products show a high export growth and an increasing demand across five continents. 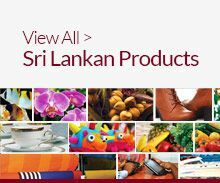 Sri Lankan bakery and confectionery products manufacturers & suppliers mainly produce and export cocoa butter and powder, Sweet biscuits, Chocolates, Sugar confectionery, Jaggery and Kitul treacle. 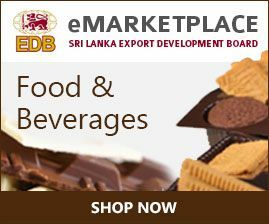 Sri Lankan biscuits exporters have made a name among those who have a taste for savoury crackers, and also for fruit flavoured cream-layered biscuits. Our cocoa is among the best in the world and cocoa butter is exported for its high quality as a main ingredient for the chocolate industry. It is used by many a chocolatier in France and other European countries. Jaggery and treacle – Caramelized coconut/kitul products in solid and syrup form are also a popular sweetner for desserts and a healthy option to sugar. Sri Lankan biscuit manufacturers & suppliers export a variety of crackers, sweet biscuits, cream biscuits and savoury biscuits to India, UAE, Ghana, UK and Maldives and several other countries around the world. In keeping with the health inspired trends of “sugar-free” or “light-sugar” products, Sri Lanka also exports chocolates to cater to these niche markets. Sri Lankan confectionery product manufacturers also specialise in using the finest ingredients and customising recipes to match customer requirements. Export value of these products has boomed in popularity, going from US$ 8 million to US$ 39 million during the year 2006 to 2012.